One of the biggest mysteries of World War II is that Nazi Germany and Hitler were created by Britain and the USA, same as they have created the Nazis in Ukraine today. That was not just the effort of England and the United States, but of the Jews – the ruling royal family in London and Hasidim in the US and in Switzerland. The SS troops were created and trained by the officers of England. Coaching and training took place near Paris, where British officers in training camps formed the backbone of the future SS divisions in Germany. Earlier, on the bases in Switzerland, England prepared revolutionaries for revolutions in Russia and Germany – 1917-1918. All this seems unusual, in the light of the official Jewish and anglo-saxon versions of history, but one has to know it to understand the logic of current events and the war in Donbass, Ukraine as well as why Russia and Putin have quickly taken the Crimea under their protection. It is believed that the desire to create a Jewish state appeared within the Jewish community in the second half of the 19th century, although even Napoleon went to fight in Palestine and Egypt, and then entered Russia with the intention to go through the Caucasus to allegedly obtain pepper in India. It should be noted that there were several areas for which activists of the Jewish elite advocated:. Palestine was, of course, number one as indicated in the “Old Testament” version of the story. Activists for Israel in Palestine were called Zionists, and later in the 20th century, the term came to refer to Jewish Zionism as a form of racism – hatred of the goyim (non-Jews). Another proposal was Madagascar and other wonderful places on the planet. The Crimea has been identified as allegedly having existed long before Jewish Khazaria, which also had to be considered. For Israel in Crimea advocated “Americans.” For Israel in Palestine – European Jews. Jewish Caucasus was invented in London. The first fossil men were found in the Caucasus. Those were Adam and Eve, and therefore they were Jews, and the paradise described in the Bible was there. That’s where Noah’s Ark landed on Mount Ararat. Tatars live both in the Crimea and the city Kazan. 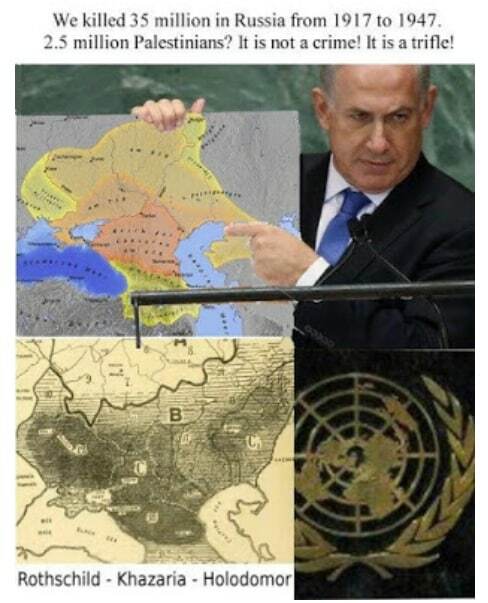 So the whole area was under the Khazarian Jews. Jewish morons aren’t aware that various peoples are called Tartars. The Volga Bulgars are not the Turks of the Crimea. All of Russia is ours and we ourselves are to decide and pick up what we like. The idea of ​​capturing the Caucasus, obviously, is the idea of ​​London. British Jews – the British royal family, most likely, have conceived the plan in the early 19th century, because since Napoleon war British officers were constantly fighting in the Caucasus against Russia. 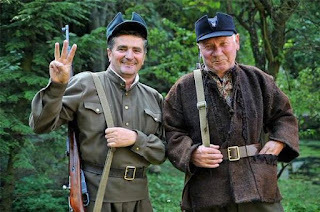 It is they who hired the Caucasus mercenaries for the war against Russians. The history of Russian war in the Caucasus in the 19th century remembers how British officers were constantly captured in the Caucasus. Military experts who study the history of the Second World War always come to a dead end: “Why Hitler sent his troops to the Caucasus? Why was there a battle for Sevastopol, Stalingrad and the losses in the Caucasus? Why was a battle on the Terek river? Why didn’t they get around Moscow from the south and cut off Moscow from the Trans-Siberian railroad and the Volga region in the area of cities Ulyanovsk and Syzran?”. Such an explanation is laughable to war specialists because the extension of communications and huge losses of troops without the main task being fulfilled is pointless and stupid. So the General Staff of Germany were idiots? It is possible to think so, if you do not know the history. The history of the Second World War has one simple secret. The real General Staff of the First, Second, and now the Third World War has always been and is based in London. Plans for military operations in Germany were developed in London and delivered to Germany via Switzerland. For those plans first persons of German leadership of the General Staff – Greek Jew Canaris &Co monthly traveled to Switzerland. It was London which turned the German troops to the Crimea, Donbass, Stalingrad and the Caucasus! The purpose was exactly the same as that of the Jewish leaders of the Che Ka (Extraordinary Commission) and NKVD (People’s Komissariat of Internal Affairs) in Moscow- namely: destruction of the population on the territory of fictional Jewish Khazaria. Holocaust is a hoax, nonsense and fiction of the Jews. 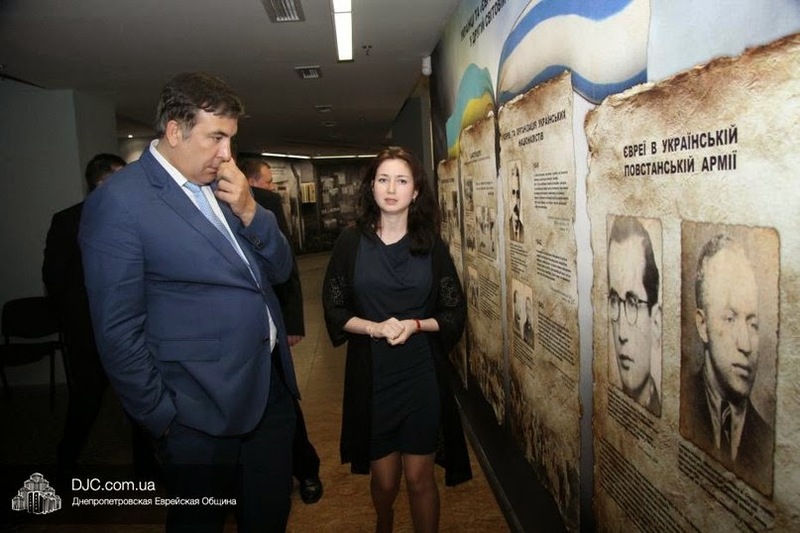 Behind the Holocaust is hiding deliberate extermination of the population on the territory of fictional Jewish Khazaria – the genocide of the Russian people and other peoples of Russia. It is not today that Jewish Bandera scum of Ukraine invented to kill Russians in Donbass. This plan was implemented throughout the first half of the 20th century, and today we are seeing the second series of the genocide in these areas and the third European campaign to “Khazaria”. Again, the war in the Caucasus – in Chechnya. Again, Russians capture British officers there and Chechens cut off their heads as before. Again, continuation – the extermination of population in Donbas. Let’s remind the history of the Second World War. German occupation of the city Donetsk lasted about 700 days from October 21, 1941 to September 8, 1943. During the war, the city population from 507,000 people decreased to 175 thousand. The place of mass executions of civilians by the German occupation authorities in the spring of 1942 until the 20th of August 1943 was the abandoned mine pit number 4/4-bis. 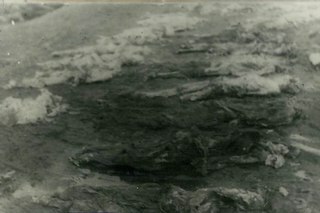 There were brought the bodies of already killed people, as well as people were executed there. 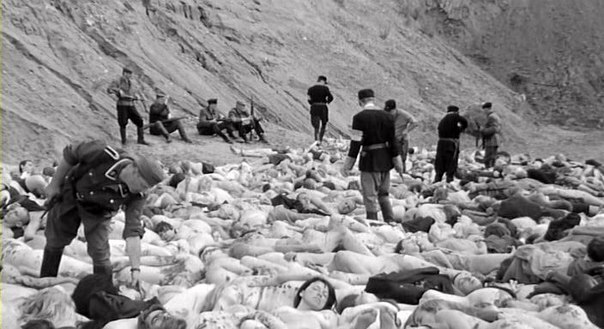 Residents of the city were not only shot, but thrown into the pit alive. Some managed to escape. For example, a mining engineer Alexander Polozhentsev was thrown into the pit alive. While falling, he grabbed the rope and, swinging, managed to move into a wall niche, where he hid until nightfall. From 365- meters deep mine shaft, 310 meters were filled with the corpses of tens of thousands of people. The width of the pit was 2.9 meters, the length of about 5 meters, it is structurally divided into two halves, two half-pits. Into one of them people were thrown. After one of the guards-polizei was dragged down into the pit by those sentenced to death, a fence was made. In the mine pit was added caustic soda for sealing and compaction of the bodies. While retreating, the Germans, by the explosion of the mine shaft, filled in the pit of the shaft with remains of industrial buildings and constructions of the copr. At a depth of about 55 meters thick was formed a “cork” of debris and soil, several meters thick. Specialists had to disassemble a thick layer of debris and structures, before they got to the decomposed bodies of the dead who were in the water. After the liberation of the city, work began on removing the bodies from the pit. It was possible to identify only 150 people. 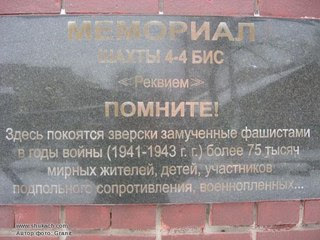 The bodies of 52 people were buried in the cemetery in Memorial Mushketovskaya mass grave. The rest of the bodies were handed over to the relatives for individual burial. The rest of the remaining tens of thousands of people still remain in the pits. City Gorlovka – mine “Uzlovskaya” – pit, depth of 108 m – 14 000 people. Donetsk, village. Rutchenkovo ​​- №19 mine ventilation shaft 60 m – the number of buried is unknown. Donetsk, village. Rutchenkovo ​​- mine №31 Semenov barrel (layer A) the depth of 45-50 m – the number of buried is unknown. Donetsk, unidentified pit mine in the area of ​​the former Rutchenkovskiy Coke&Chemical works – the number of buried is unknown. It is necessary to continue the Nuremberg trials due to newly discovered circumstances, seize and execute the British royal family as a whole. It is proposed to hang them as the Nazis at Nuremberg on the same grounds and conclusions as formulated at Nuremberg! The same also must be done with Switzerland, whose representatives now supervise the work of the OSCE mission in Ukraine, Donbass. The photo on the left. Saakashvili looks at an exposition in the Chabad Jewish Museum. 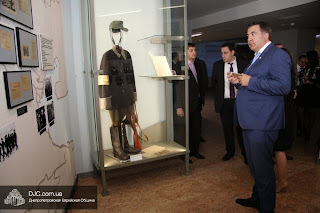 Written: “The Jews in the Ukrainian Insurgent Army, UPA (in Hitler’s Army)”. I left and went to the grove. Wehrmacht soldiers had already dug a hole in advance. Children were brought by the crawler tractor. To the further events I have not had a relationship. Ukrainians stood around, shivering and trembling. Children were removed from the tractor. They were placed over the pit and shot so that they fall directly into the pit. Indescribable howls were heard. This picture I will never forget in my life. I find it hard to talk about it. Especially cut into the memory a little blond girl who grabbed my arm. She was also shot. The hole was near the grove. В видео говорится о том, что английская разведка со средней школы курировала например в Ирландии своих агентов ирландцев, которые потом становились руководителями Ирландской повстанческой Армии и давали комманды на террор, из за которого Англия получала право вторгаться в Ирландию. Он говорит, что Русскую Революцию тоже эта разведка организовала и потом воспитывала агентов в России на руководителей страны.
? Addressing the changes that went on within the Mossad under the Barak regime, Ben Yehuda added, “Barak, of course, he attempted secularization. He supports the Clinton-Gore globalist agenda and it is based in secular humanism. True religious feeling of any sort is threatening to the globalists. I saw huge funds being put into Israel in order to get Barak elected. James Carville was sent over there to keep watch on the money. The technique of winning elections with focus groups and laundered money has been raised to a high art. Since it violated the wishes of the electorate, it created a backlash.” Published in WND Feb 2001. It appears to me that World Net Daily is very very friendly to Israeli interests. Farah’s daughter is press secretary to Mike Pence. So once again we see Democrat or Republican the people of America have no real choice. Just like moderates in Israel have no real choice? remember on 9/11 on the BBC Ehud announced that Osama did 9/11 not the true culprits, the Israeli government and traitors in our own government. Was it true that Hitler actually spoke good English? I read this somewhere but do not know if this is historically accurate. Bibi Netanyahu speaks good English also … He spent most of his teen years living in the Philadelphia area, where his father, noted Jewish historian Benzion Netanyahu, worked as a professor. In 1967, he returned to Israel. So if Bibi gets play fighted out of the PM and MINISTER OF DEFENSE position are we just going from Bad Bibi to somebody worse? Who is MI6 backing then? Bibi met with Poroshenko on January 21? Netanyahu is expected to meet with US President Donald Trump at the end of March, when he travels to Washington to attend the annual AIPAC policy conference. Protests at the AIPAC this year? Demand that Netanyahu be placed on a terrorist watch list? One of the main focuses ( if we had Intelligence agencies actually working on behalf of US citizens ) should be spying on Netanyahu. A daily account publicized in all media of what wars is Netanyahu helping plan today? Where in the world is Bibi? “The first fossil men were found in the Caucasus.” Really? I think Lucy would have something to say (or grunt) about that. Now let’s see what Shrimpy has to say about this one. I have no doubt the royals were in on it. They’re scum. Why the British people haven’t stormed the Palace and hung the lot of them is beyond me. Are they that brainwashed? Thanks to this author along with others such as David Irving, we are slowly learning the truth about both wars in Europe, who was actually behind it and who benefited. The truth cannot be hidden for very long. The crimes committed against innocent people must never go unpunished no matter who was involved. The Russian people have suffered for too long at the hands of the kazarian jew. The entire world is suffering at the hands of the Kazarian jew. Shrimpton isn’t at all typical, he’s a ludicrously out of touch figure, in no way representative of the general zeitgeist in this country. 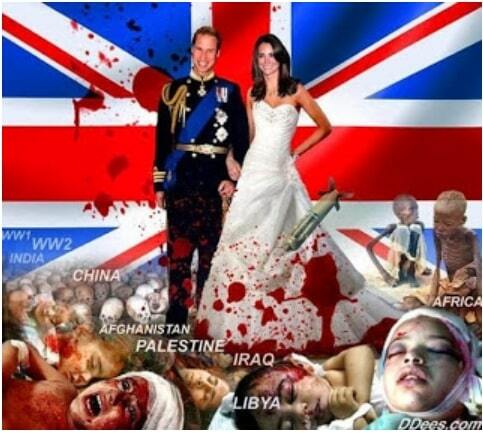 There is still a significant portion of the British sheeple who support the inbred Judeo-German scum known as the House of Windsor, largely due to the constant promotion they get by the media; however, a lot of Britons do not support them at all. Back in the 1990s, their popularity was much lower, due to Princess Diana exposing what a complete scumbag her husband Prince Charles was, since they murdered Diana, they have had a very effective propaganda and public relations campaign to rebuilt their image, cynically using Diana’s sons to appeal to the younger generation, hence they have both been married off to attractive, media friendly women. Personally, I’d hang the lot of them and the treacherous, lying paedophiles, perverts and pederasts who support them, AKA the judiciary, the law lords, the senior politicians, the aristocracy, basically the entire upper class establishment and their sycophantic hangers on.